Septic Tank Cleaning Like it's never been used. A-1 Sanitation has been in business since 1961 and provides technicians that are courteous, well trained, and take pride in their work. We are the Pros and we’ve seen it all. 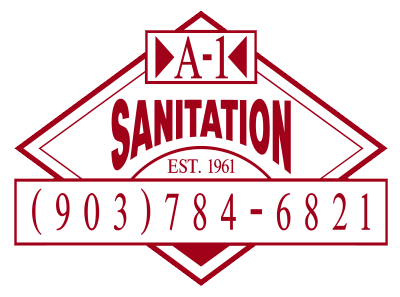 A-1 Sanitation offers thorough septic Tank cleaning. Unlike our competitors, our 3000 gallon trucks have the capacity to clean your entire septic tanks system regardless of how many gallons it holds. We have commercial grade vacuum pumps and can carry up to 220 ft. of hose that allows us to reach places other pumpers can’t. There are three main types of systems, Conventional, Low Pressure Dosage (LPD), and Aerobic. Depending on what type of septic system you have and how many people live in your home determines how often you should have your septic system cleaned. The table below lists the recommended septic tank pumping frequency according to septic tank capacity and household size. The frequencies were calculated to provide a minimum of 24 hours of wastewater retention assuming 50 percent digestion of the retained solids. The removal of septic waste by cleaning the septic tank is a critical step in septic system care as it extends the life of the septic field. Even if you don’t care how septic systems work you need to know when to clean the septic tank by pumping out septic waste. Look up your tank size and number of building occupants to see how often the septic tank should be cleaned. On-site sewage disposal system holding tanks, where there is no septic field, will need to be pumped more frequently based simply on the rate and volume of septic waste inflow.